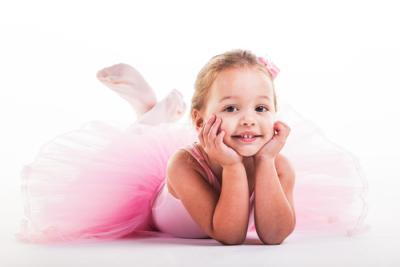 This class is for our budding ballerinas and dancers! We will explore movement, music, rhythm, animals, shapes, colors, and more! We will work on learning our left from our right, our numbers, letters, and manners! We are having fun in a safe, and educational environment. Join us on a fun journey through our imagination into the world of dance! Dress Code: Pink Leotard, Pink tights, Pink shoes, skirt optional. This 45 minute class is a magical way for you and your toddler to experience dance and movement together. 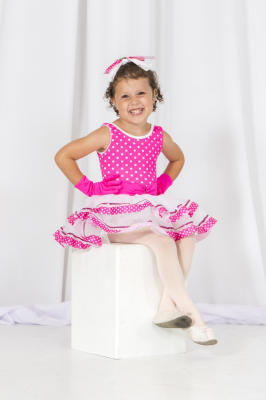 Each week will begin with a fun song and dance warm up, where they will be introduced to Ballet basics. This class includes dance, yoga, rhythm, music, singing and basic tumbling. It is a great way to begin the socialization process to prepare for pre-school or day care. We strive to create a meaningful learning environment where all children are encouraged to follow the beat of their own drum. Our purpose is to inspire a love of movement and dance that will stay with them for their lifetime. This class promotes creativity, dreams and pretend. 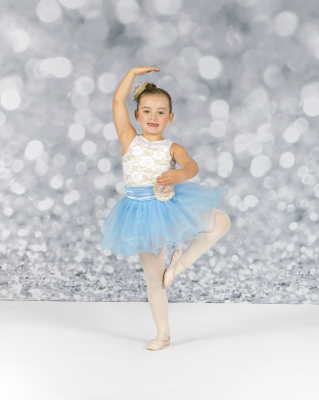 Whether dancers are galloping like a horse across the floor, flying like fairies in a circle or playing freeze dance to end class, they are learning, creating, and building confidence. This class includes Ballet, basic tumbling skills, yoga, creative movement and imagination. Dancers will move with scarves, wands, ribbons. They will make music with tambourines, maracas and rhythm sticks, and dream with their whole heart. Our purpose is to create an hour of play, fun and dance where each child feels excited, accepted and inspired. Dress Code: Purple Leotard, Pink Tights, Pink Ballet Shoes, Skirt optional. This class is for the Ballerinas at heart! 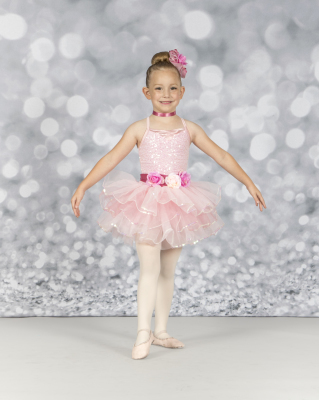 Our Pre- Ballet teaches the foundation of Ballet in a fun and exciting way. We focus on technique, terminology, heart, and determination. Ballet is an amazing teaching tool; It teaches discipline, perseverance, and it allows dancers to create and achieve goals within class. Our Pre-Ballet program is perfect for the young dancers who are just starting out, and who just love to move. We incorporate games, songs, and rhythm to exercise the creative part of their brain. Dress Code: Purple Leotard, Pink tights, Shorts or Skirt, Pink Ballet Shoes, Black Tap Shoes. This class is for the dancer who loves to move! Class begins with Ballet each week; stretching, warm ups, and technique. This class changes shoes half way through! Time to tap! Tap is a great way to learn rhythm and coordination! Each week the students will learn new Ballet and Tap fundamentals, all the while having fun being creative and imaginative. 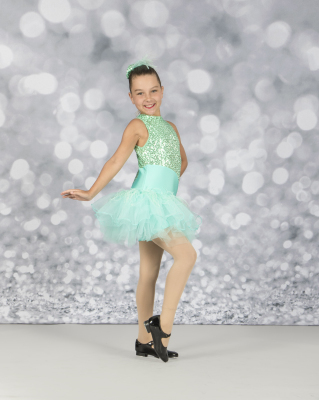 The Ballet & Tap combo gives the students the ability to try two styles within one class, so that they may experience both the classics of Ballet and the fun of tap! ​Dress Code: Purple Leotard, Tan Tights, Black Shorts, Tan Jazz Shoes. This class is designed for the kids who just love to move and groove! This class combines Jazz and Hip Hop in a fun and age appropriate way! We learn the basic techniques of both genres, and create exciting and energetic dances. Our teachers will get kids up and moving in no time after warm ups with jumping jacks, push ups, and lots of core work to get those hip hop freezes down! Dress Code: Royal Blue Leotard, Pink Tights, Pink Shoes, Hair in a bun, Pink skirt optional. This class takes Ballet training to the next level for our 5 year olds who have been in Pre Ballet or Ballet & Tap for at least one year. They will trian at the Barre, begin working on more challenging skills, and prepare for Level I 6+ Ballet. This class is designed for the dancer who loves Ballet and is interested in focusing on one genre during class. Dress Code: Royal Blue Leotard, Tan Tights, Black Tap Shoes, Hair in a Ponytail or Bun, Black Shorts or skirt. This class is for the Tapper who is ready to learn new skills and rhythms with their shoes! This class is for dancers who have taken Ballet & Tap for at least one year and are ready to focus on one style of dance during class. Tappers will warm up with basic exercises and move on to challenging rhythm and speed techniques. This class will prepare them for the Level I Tap for ages 6+. Dress Code: Royal Blue Leotard, Black bottoms, (capris, shorts, leggings) Tan Jazz Shoes, hair in a pony or braid. Hip Hop Prep is for the Hip Hoppers who are ready to take their skills to the next level. This class is for dancers who have taken hip hop minis for at least one year. They will learn fun warm ups, work on hip hop skills, and prepare for Level I hip hop for ages 6+.